The Guns N’ Roses is a US hard-rock band that’s been around since 1986. Earlier this week this band made the news not because it released new albums or gone on tours but something else. One of their music video, November Rain, just broke the one billion views milestone on YouTube. Why is this big news? Gangnam Style has 3.1 Billion views and Despacito is almost double at 5.3 Billion views. Why does an old ‘90s video with a mere one Billion views become such a big deal? Well, it’s exactly because it’s an old video that it makes the news. In fact, it’s the oldest video to pass a billion views on YouTube. Just for the record, the video was first uploaded to YouTube in 2009, four years after YouTube’s took off. We did the math and we got over 100 million views per year for this video. That’s an amazing record for this song that’s nine minutes long. In total the world has spent 9 Billion minutes watching it. Axl Rose said that November Rain was a song about not wanting to be in a state of having to deal with unrequited love. The thing is, while the meaning of the song is clear, the music video left many mysteries. There’s a wedding, the reception, sudden pouring rain, and then a funeral? There’s a huge gaping hole in the plot here. We reckon among the billion views, hundreds of millions are from people who rewatched the video over and over again to decipher what’s going on. 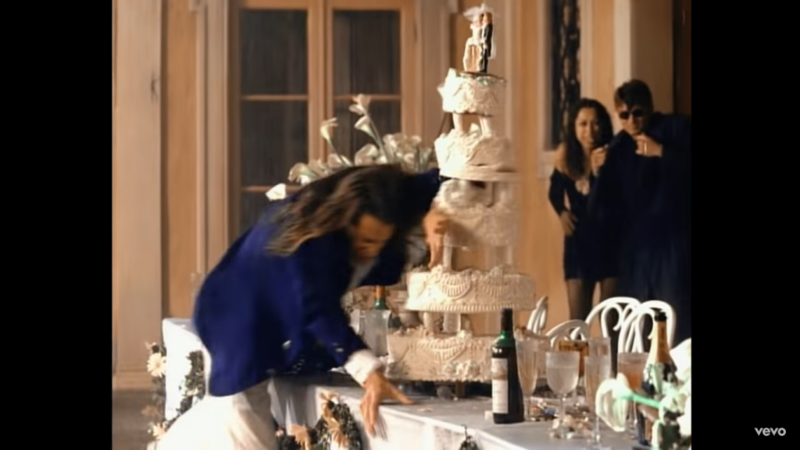 Why did that guy just ram and destroy the wedding cake? What happened to the guy under the table? Why did everyone went crazy over rain? If you’re still unsure what the video was about after watching it a hundred times, just chill. 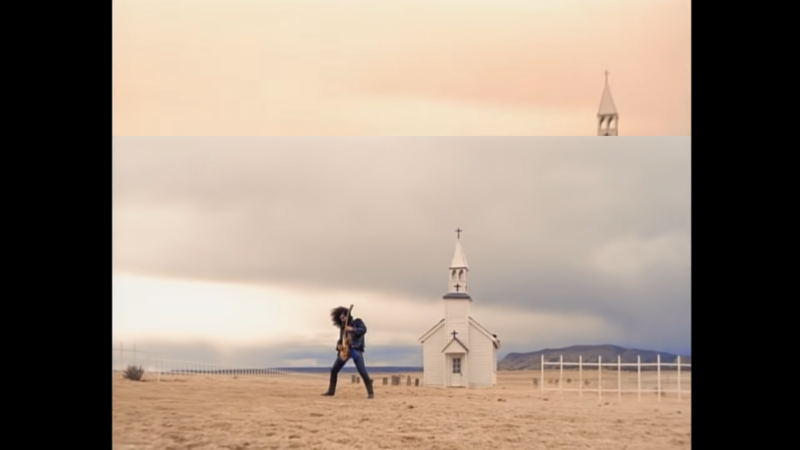 The lead guitarist of Guns N’ Roses, Slash, said that he also had no clue what the music video was about. Why do people love this song and the video so much? November Rain’s lyrics are filled with metaphors for unrequited love and the longing for someone who no longer see you the same way. Many teens and adults can relate to the song. It’s a song that people listen to when they break up with their loved ones. The tune is also fabulous from start to finish. Slash’s guitar solo is clearly the cherry on top. It is too awesome. The way he’s strumming that guitar made many people young and old to start playing guitars. And then there’s the music video itself. As we’ve mentioned above, the gaping plot hole has made many people curious which lead to numerous replays. Finally, it’s because people still love Guns N’ Roses. You see, when the music video first came out in 1992, YouTube didn’t exist yet. You’d have to tune to MTV and wish upon your lucky start to get a chance to see the music video. For the lucky ones who managed to watch it, the video left strong impressions that lasted all the way to 2018. Guns N’ Roses’ songs are timeless and we figure that their influence will remain strong for many for decades to come long after people forget about Despacito and Gangnam Style.